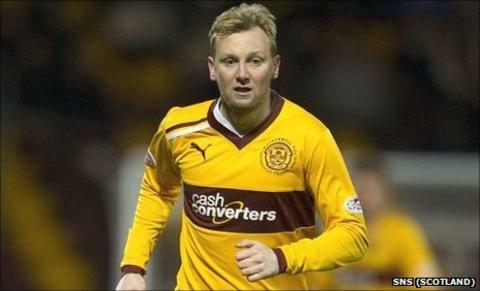 Stephen Hughes has left Motherwell after his short deal at Fir Park ended. The 29-year-old midfielder rejoined his hometown club in November and played four times for Stuart McCall's side. McCall, though, is well served in midfield and would prefer to strengthen in other areas than sign the former Rangers, Leicester and Norwich player. "Stephen and I had a good chat and came to the agreement that he'd try to find regular first-team action elsewhere," McCall told the club website. "He has played a handful here but he knows and wants to play regularly week in and week out and we can't guarantee him that. "He has missed a fair bit of football during 2011 and what he needs now is somewhere he can get a regular spot, build his fitness and get back to his best. "He was terrific whilst he was here. His attitude was always spot on and we wish him all the best for the future."